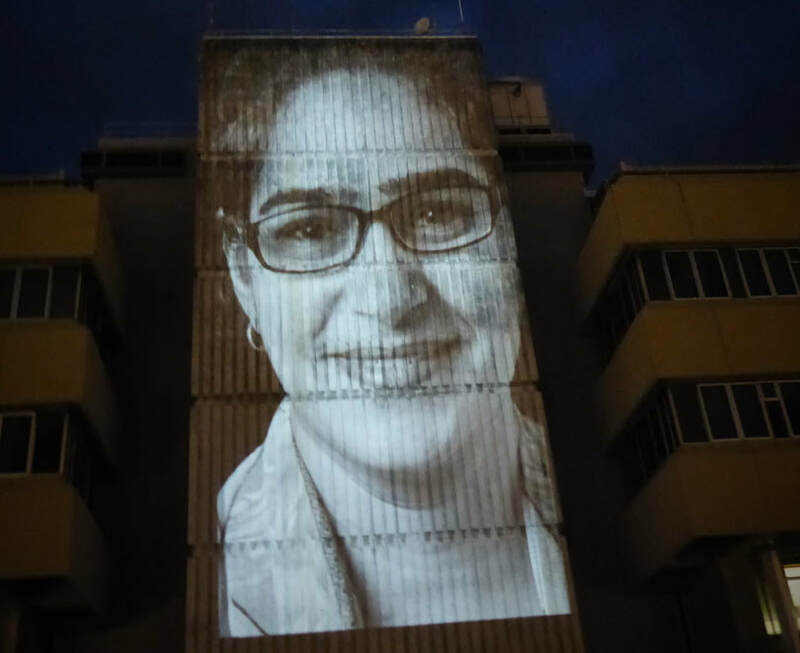 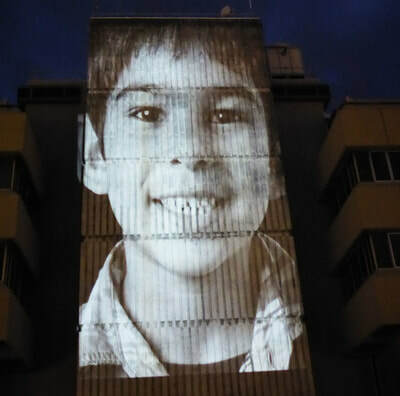 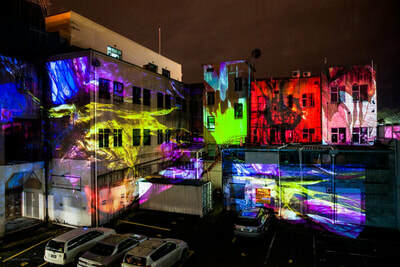 ​​Haunui Press offers the projection tech and the ‘epically cool’ content to create wonderful illusions and visual light paintings on almost any indoor or outdoor surface. A cross between the Aurora Australis and silent fireworks, this experience chases the dark away like nothing else can. 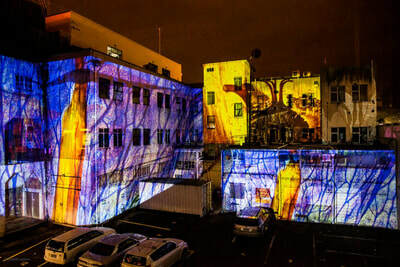 Projection mapping uses special digital projection technology to ‘throw’ images and turn objects and walls into stunning display surfaces. 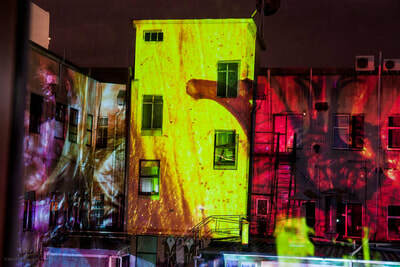 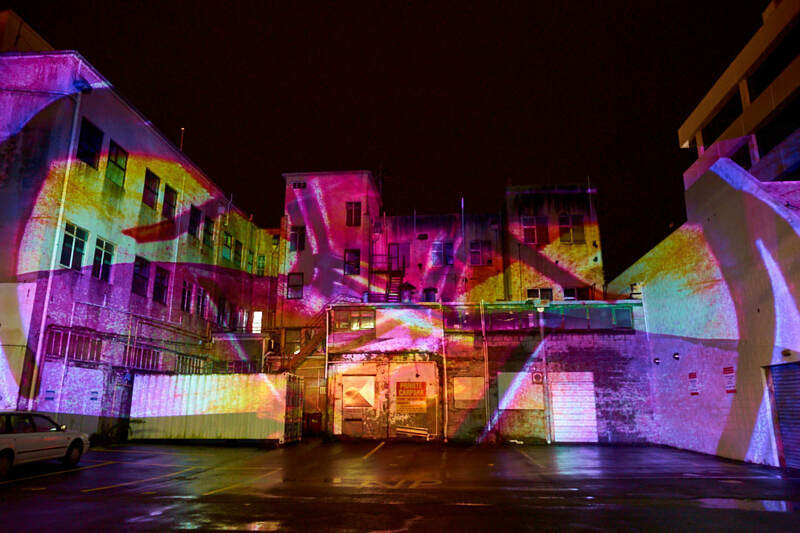 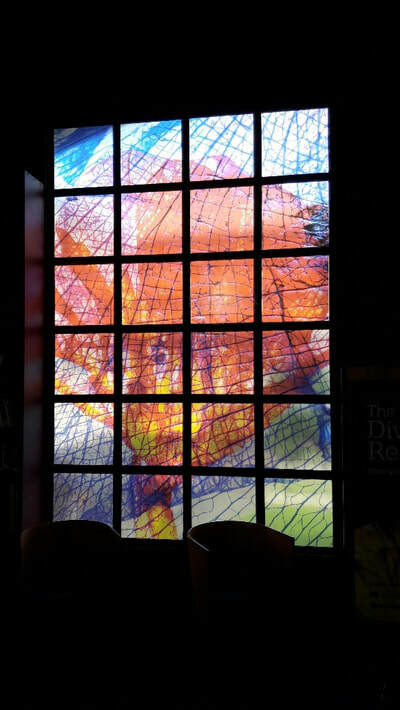 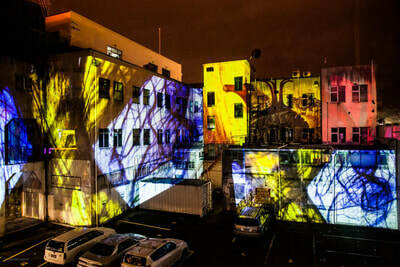 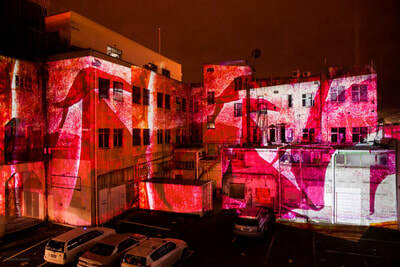 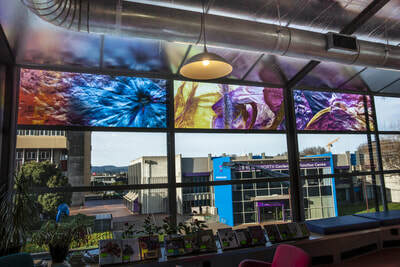 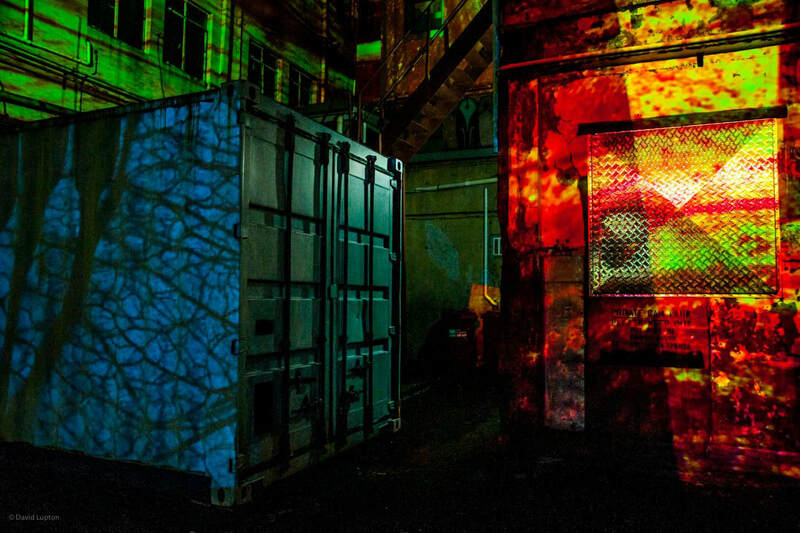 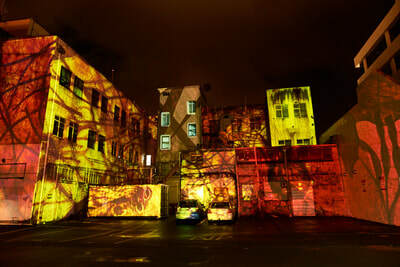 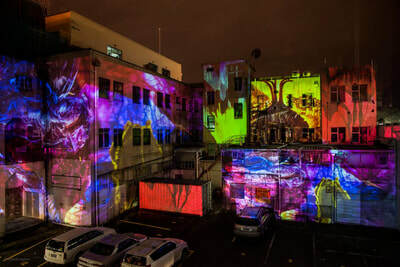 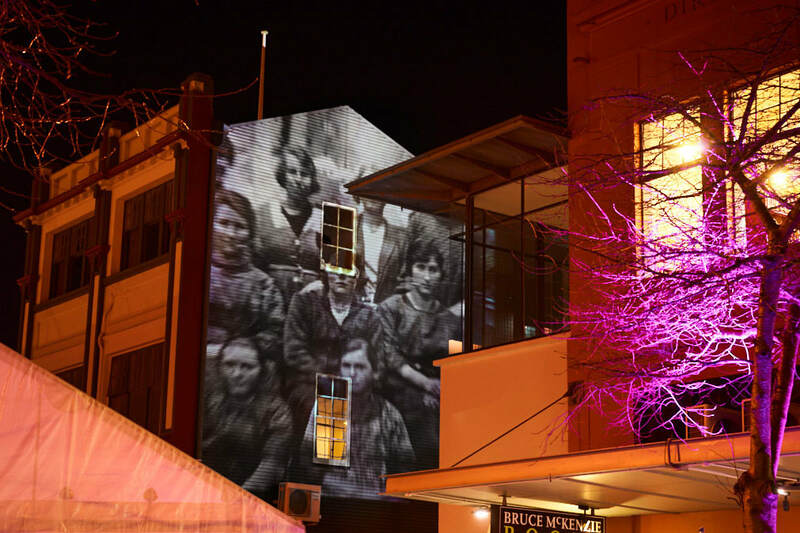 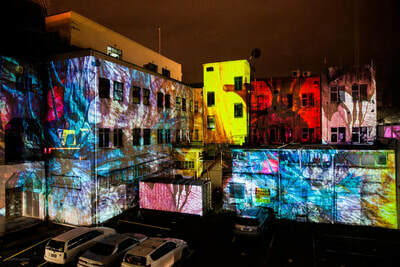 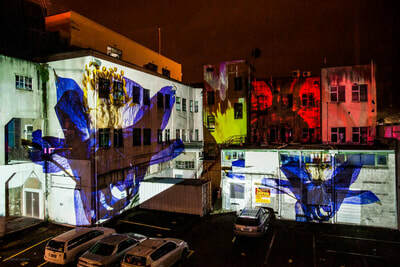 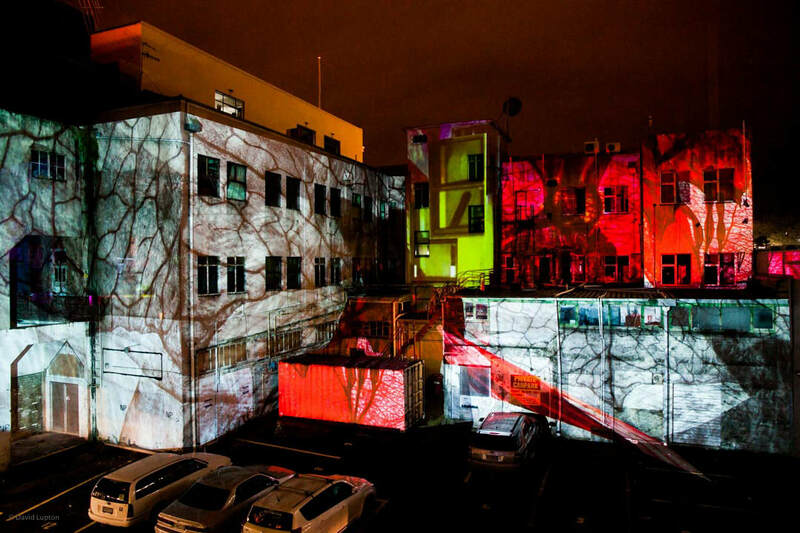 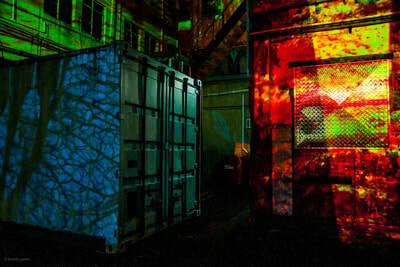 From complex industrial buildings, alleyways and tiny nooks, we can craft and then deliver a projection experience that will wow your audience. 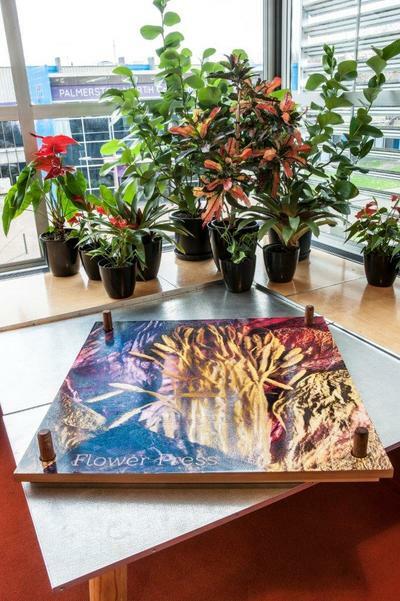 Have you an idea, a proposal or an event that needs something a little different? 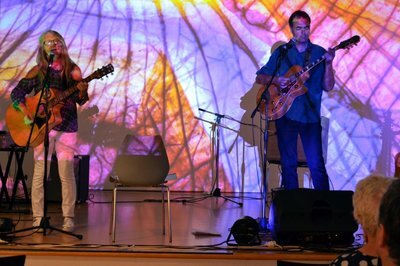 Get in touch with us and we’ll advise how we can offer content/tech support/equipment – or the whole event ‘shebang’. 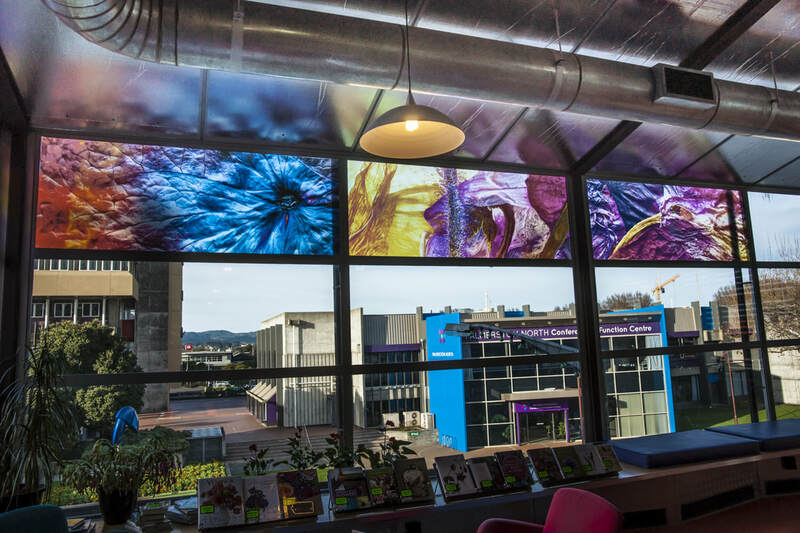 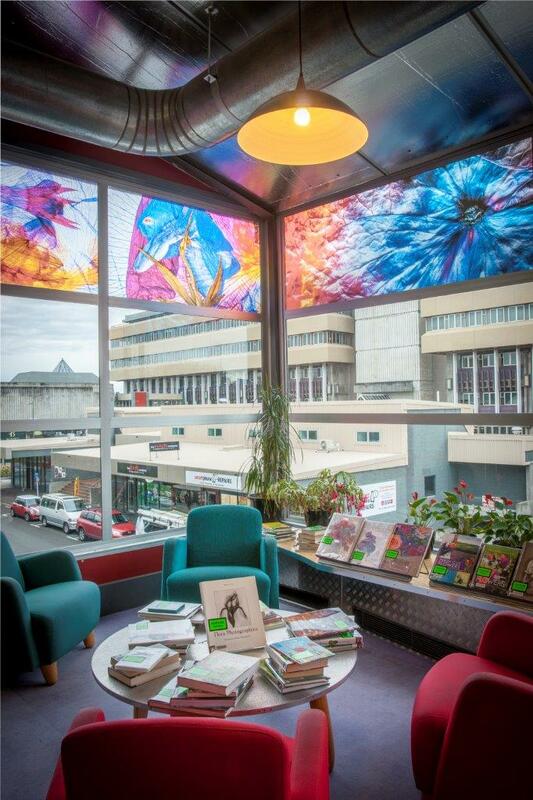 ​As we’re based in the Manawatū, we offer special deals and support for projects that are intended to run, or are conceived, in our region. 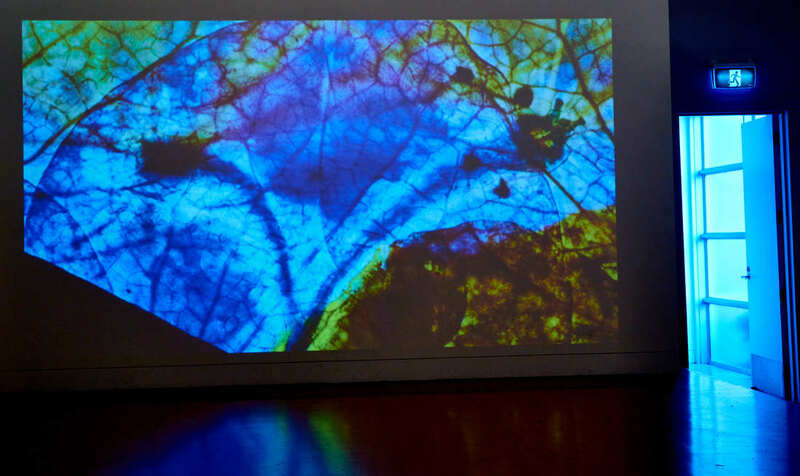 Latest work: projection for James Lissette's 'Random' (free form modular synth music show) at the Palmerston North City Library, May 2018. 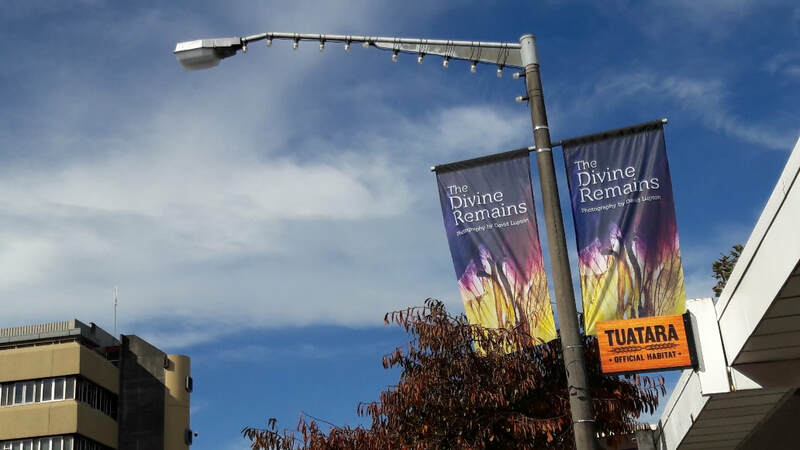 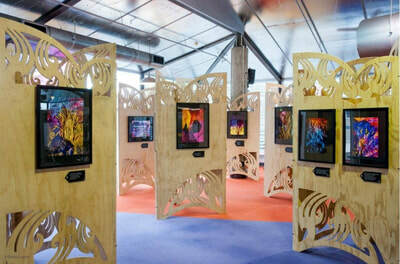 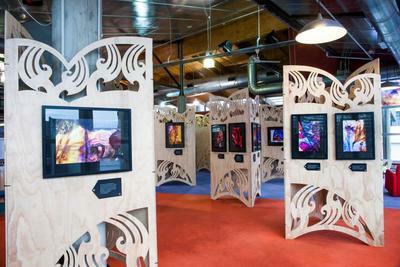 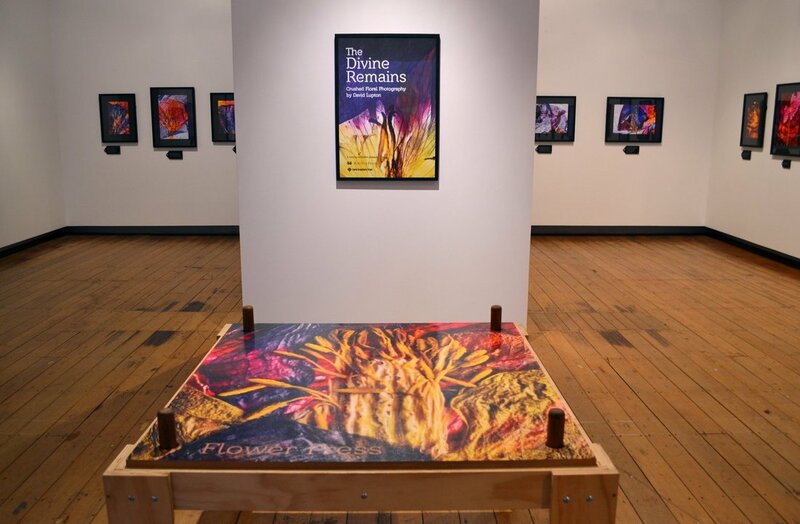 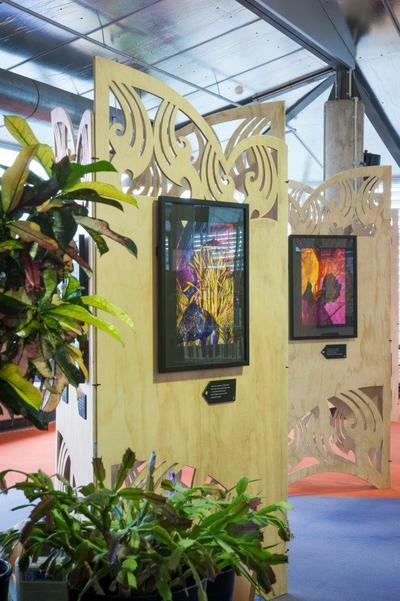 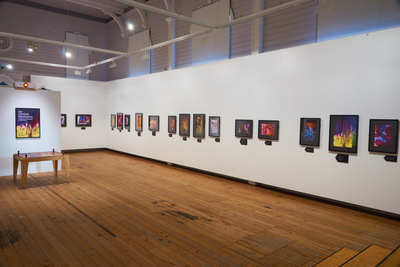 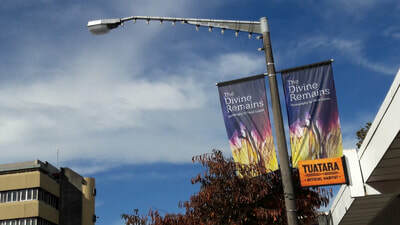 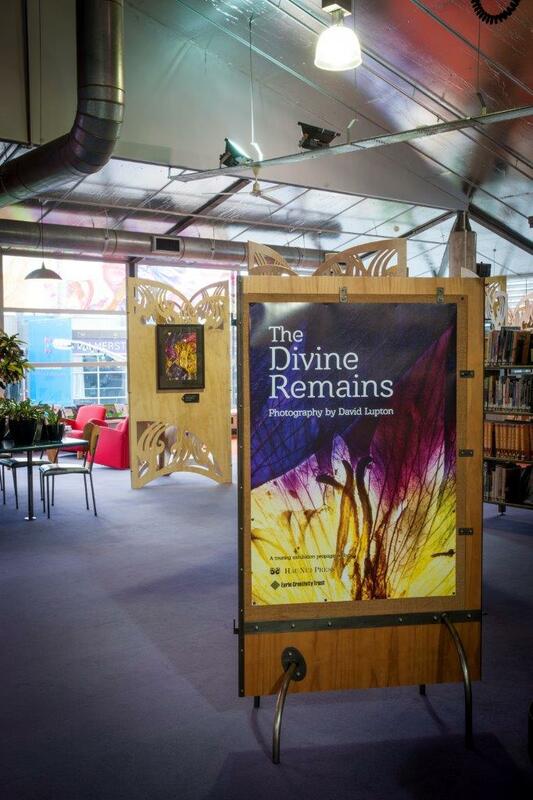 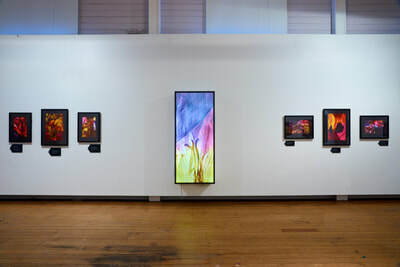 Now touring museums and galleries across New Zealand, the Divine Remains exhibition comprises a giant flower press and twenty-six, startlingly vibrant flower images that have been interpreted with a series of delightfully poetic labels, written by internationally-renowned Honduran/Manawatū poet, Leonel Alvarado. 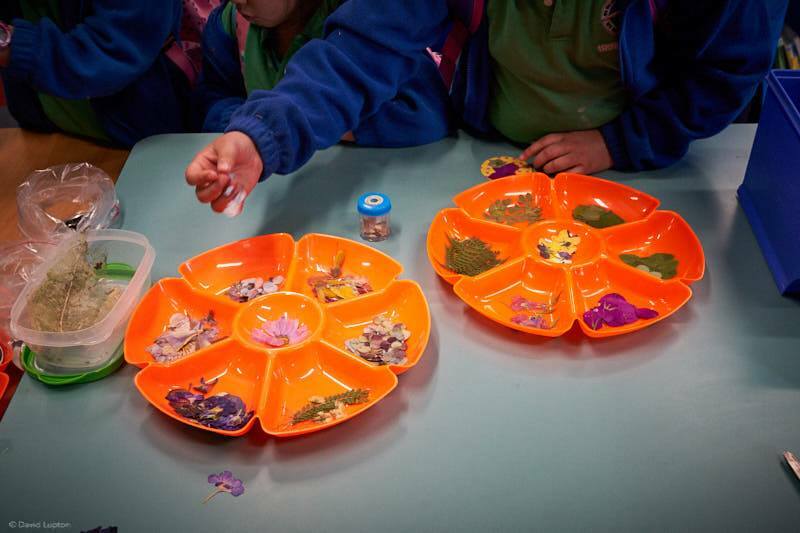 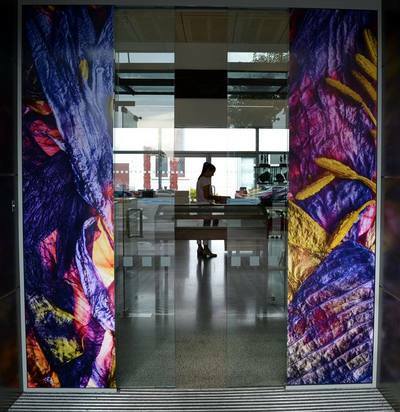 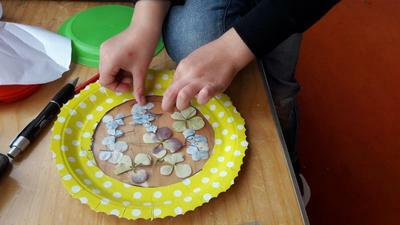 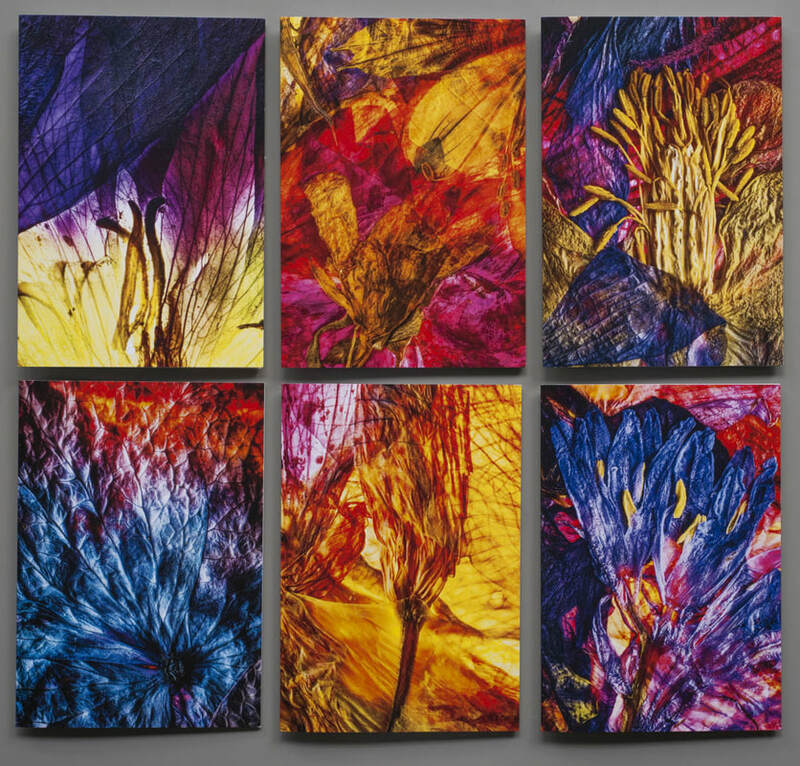 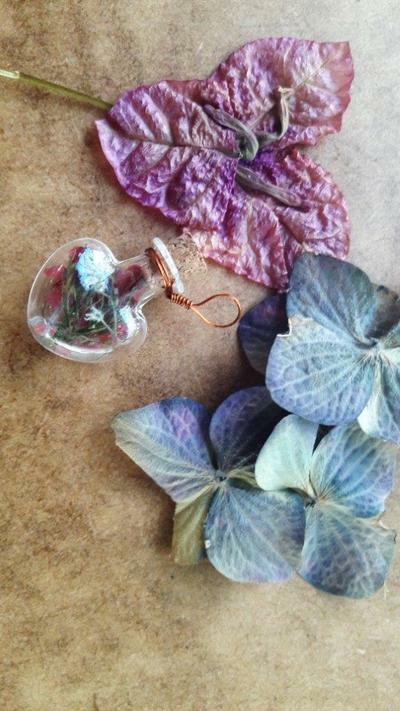 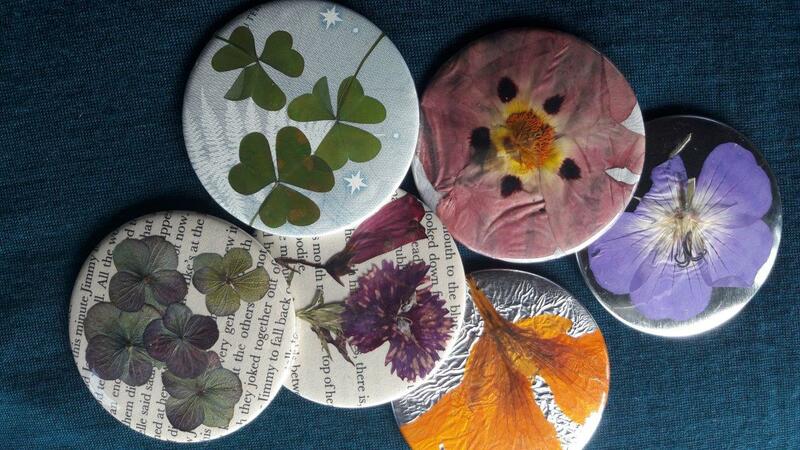 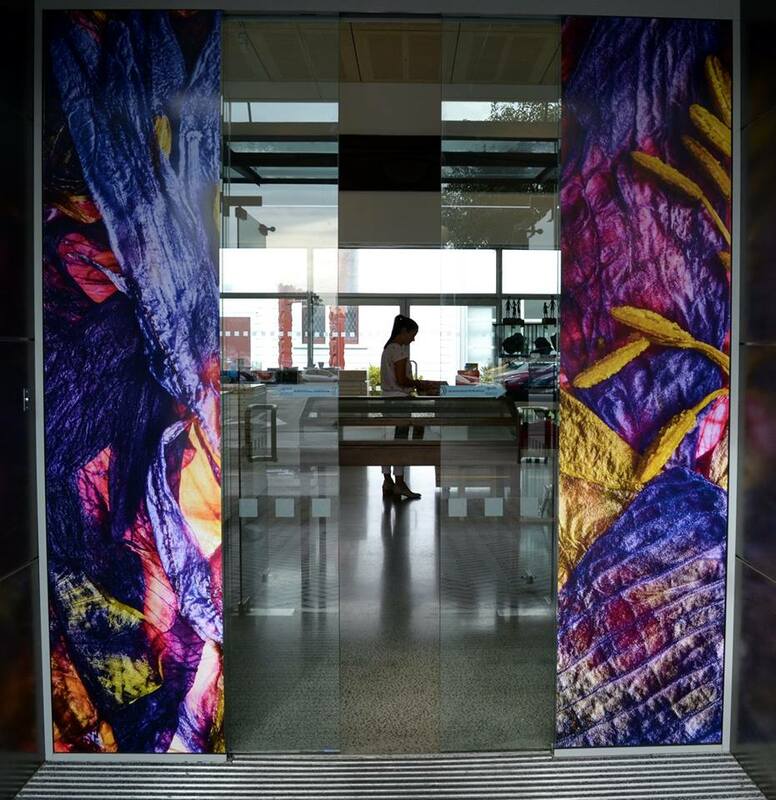 ​The artist, David Lupton, can offer host venues an extensive suite of artist-run public programmes (based around crushed flower photography and pressed flower craft) suitable for both young and old.